← Phil Jackson has Knicks Right Where He Wants Them – Hasta la vista Me-lo! Sure, Clyde’s busy announcing Knicks games, tending to his restaurant, and his home in St Croix. Would the great Walt Frazier ever consider to contribute his time and wisdom as a defense first point guard, NBA champion, and 30 years of game coverage? Has the Knicks front office, or even Clyde’s rookie Knick roommate Phil Jackson, ever asked him? With young Frank being the best defensive point guard the Knicks have had in years, maybe now’s the time to ask. I’m sure Clyde and Frank would hit it off! 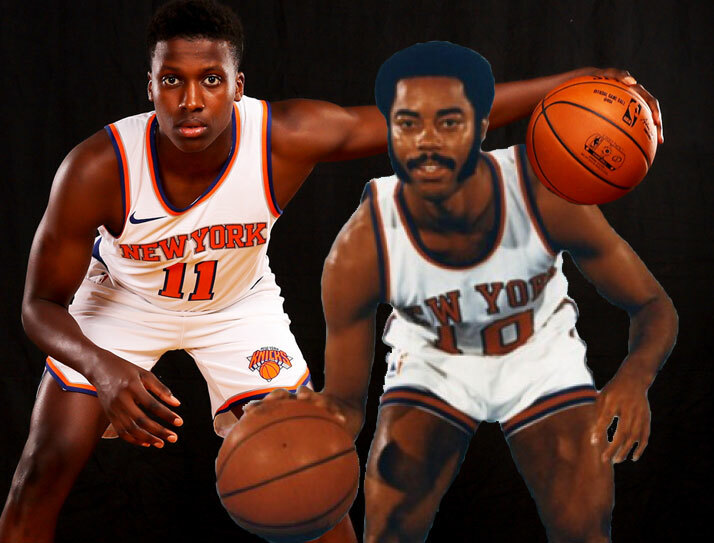 This entry was posted in Phil Jackson Great BBall Minds and tagged #Clyde, #Knicks, #NBA, #Rookie, ClydesWineandDine, FrankNtilikina, WaltFrazier. Bookmark the permalink.